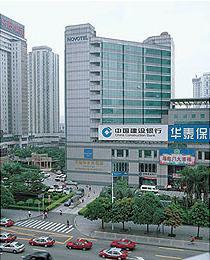 Novotel Watergate Shenzhen is located in the financial district, on famous Shennan Zhong Road. The 14 storey hotel features 152 rooms, a restaurant, swimming pool and gymnasium. Meeting facilities are also available for up to 90 delegates. 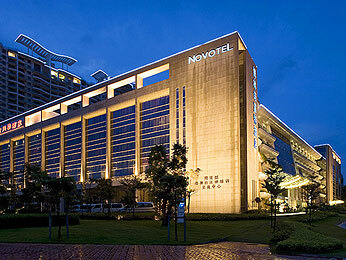 The hotel features 219 rooms and is located near the China International Garden and Flower Exhibition. 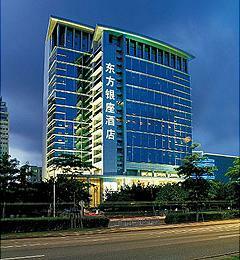 Situated 1.5 km from the Shenzhen High Tech Industrial Park and 5 km from the central business district. The hotel offers a lobby bar, Chinese restaurant, Western restaurant and an outdoor swimming pool. Grand Mercure Oriental Ginza is located in the Futian business district, next to Zhuzlin metro station and only 20 minutes from the airport. The hotel features 481 rooms with a choice of bay or mountain views, 3 restaurants, 4 bars, a nightclub, fitnesscentre, sauna and indoor heated swimming pool. The port of Huanggang and the Shenzhen Convention and Exhibition Centre are only 15 minutes away. Conference and meeting facilites are also available for up to 350 delegates.